In the wake of exploring the world and observing the nature. Let’s pack up bag and baggage with all the essential gadgets and start the journey around the globe, but……. Let me ask you a question first, why are you planning to go offshore when you have so many unexplored and undiscovered places on board in our own country, Pakistan. Our sweet homeland Pakistan is among the very few blessed countries of the world. Mother nature bestows generously all of its best attributes over land of pure. It is blessed with many unique and different aspects from the natural resources. It has beautiful seashores with magnificent coastline, plains with mesmerizing meadows, rivers with old civilizations, art and architecture with diversity, high-lands with highest mountain ranges of the world and the list goes on. 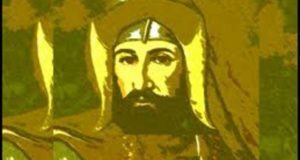 I am going to figure out the voyage of known and cloistered lakes in Pakistan, especially in Sindh and Balochistan. This is the first blog of the series of covering almost all the inland lakes. From here we are setting out, towards the new horizons and touch the soil of Balochistan, which remains a less endeavored land. Let’s start from the popular and mystic wetland of the mysterious Balochistan. We have started from Urak Valley which is a beautiful Valley of Balochistan Province of Pakistan. It has many tourist sites around it and Wali Tangi Dam is one of them. It is a small Dam on the enchanting lake of the Urak Valley. 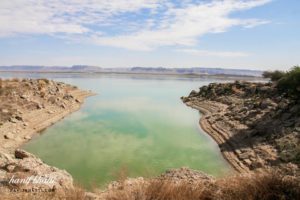 Wali Tangi Dam is in the East of Quetta, some 20 kilometres away and the elevation of the lake is 8,350 feet (2,545 metres) above sea level. Wali Tangi Dam was constructed by the Pakistan Army, in the early 60s. The main purpose of the Dam is to supply water for irrigation and domestic use, to the Urak Valley, Quetta and adjoining areas. 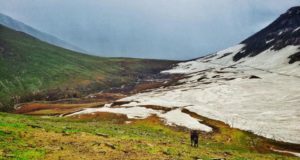 The water source of the lake is the snowy water of small streams which are flowing from the surrounding Zarghoon Hills, Sulaiman Mountain Range. Nushki is a beautiful plain place near Quetta, Balochistan in Quetta Plateau. 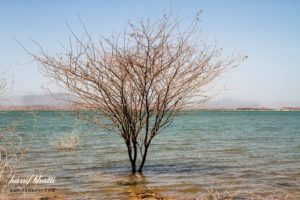 There lies Zangi Nawar Lake in the South-West of Quetta city. Zangi Nawar is basically a wetland in a desert area, with the fabulous ecosystem, which supports the biodiversity of the surrounding areas. It serves as a breeding sanctuary for the endangered species of Marbled Teal (Marmaronetta angustirostris) and several other types of water-fowls, ducks and coots. The surface area of the lake is about 1,060 acres. It was declared “Game Reserve” back in 1982 and upgraded to a Wildlife Sanctuary afterwards. Zangi Nawar Lake is a shallow, brackish-water and eutrophic lake. The sand dunes, marshy land with desolate region of stony plains and barren rocky-hills surrounds the lake. The water of the lake is on such a low level that it often gets dry during the drought, which causes the collateral damages to the inhabitants of the lake. The lake is enlisted among the Ramsar wetlands also. It provides shelter to so many endangered species of the birds and reptiles. Illegal hunting creates quite a havoc for the concerned authorities. It is need of the hour to impose a ban on illegal hunting of the local as well as migratory birds, especially in the Nushki and Chaghi Districts of Balochistan. Strict legal action is strongly recommended against the violation of the rules. The migratory birds from the Northern countries, particularly come in the winters and stay around the lakes until the spring season. Hundred of, housands of migratory birds travel to Pakistan every year but unfortunately numerous of them fall prey to the illegal hunting. The seasonal migration of birds, especially from Siberia (Russia) usually starts in the early winters along-with the flyway of Indus river. These birds cover the distance of more than 4,500 kilometres (2,796 miles) to reach their winter destination. They arrive through the natural “International Migratory Route”, which begins from Russia towards India and Pakistan. These birds prefer to stay either in Balochistan and Sindh Provinces of Pakistan or in different areas in India. They fly back to Russia when the the spring season sets in. Pishin valley is a lush green valley with numerous fruit orchards and it is 50 kilometres (31 miles) away from Quetta. 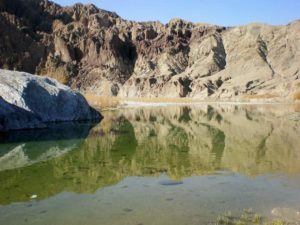 The prominent orchards of the valley are mainly irrigated by the ‘Karez’ which are tributaries of the man-made lake of Bund Khushdil Khan. It is another tourist attraction of Balochistan. Bund Khushdil Khan is a mesmerizing lake with excellent flora and fauna inside it. The festival along the lake, grabs the attention of the tourists. The colourful folk dance, performed by the thousands of participants from all over the country, is the main attribute of the festival. Besides it, horse jumping, tricky horse riding, tricky motorbike riding, dare-devil car driving, dog and hare race are worth-watching activities. Another major attraction of this festival is “Exhibition of Pakistani Livestock”, where farmers exhibit their best animals. After the sun sets, the Fortress Stadium gets illuminated with the fireworks and colourful lights. The military band makes the venue an enliven place. Here we come in Turbat now. It is a historic town and famous for the Mirani Dam. Turbat is another popular tourist attraction of the Southern Balochistan. It is a Union Council and Tehsil of Turbat in Kech District of Balochistan. Mirani Dam is medium but a multi-purpose concrete Dam. It is on the bank of River Dasht which is in the South of the Makran Coastaline. The water source of it is Kech and Nihing rivers. 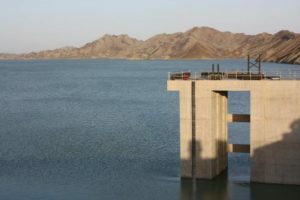 Mirani Dam was completed in July 2006. Dam provides water for the domestic use as well as irrigation to Turbat and the adjacent areas. We are heading towards Quetta, the city of orchards and panoramic Hanna lake. The lake is 10 kilometres (6 miles) away from Quetta in Balochistan and it is on the South-Western side of Pakistan. The lake lies on the brink of majestic Urak valley. 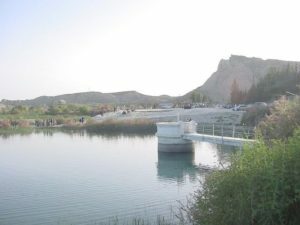 Hanna lake is the main tourist attraction of the Quetta city. It is famous for its golden fish mainly and a nearby Fort. There is a Water Sports Academy (HDWSA) in the vicinity of the lake. The academy is in actual a training centre of Rowing, Canoeing, Kayaking and Sailing. It is quite a suitable spot for the al long picnic and the family gatherings. The lake is accessible by road and accommodation facilities are also available. Hub is an artificial lake between Karachi in Sindh and Lasbela in Balochistan. It is 56 kilometres (34.8 miles) away from Karachi, situated on the border of Sindh and Balochistan. The water source is Hub river which is flowing from the Pabi Range in the South-Eastern Balochistan and it falls into the Arabian Sea. Hub Dam is the third largest Dam of Pakistan and source of the drinking water for Karachi also. The lake and its whole area surrounding area was declared as a wildlife sanctuary in 1974, by the Government of Sindh. Afterwards it turned into a Ramsar site on 1st May, 2001. Total area under the sanctuary is about 27,219 acres. The lake is the home of fish and many rare species of birds, which includ; Cranes, Pelicans, Ducks, Waders and the migratory birds etc. the Dam serves as a tourist Resort also. A large number of tourists come to enjoy a day-long picnic, swimming, fishing and many more activities. It is easily accessible through a metal road and accommodation facilities are also available. Drigh lake is a magnificent lake in Qambar in Shahdadkot District of Sindh. It is 29 kilometres (18 miles) away from Larkana city and just 7 kilometres (4 miles) from Qambar town. Total surface area is of the lake is 450 acres. Drigh lake hosts a large number of local and migratory birdies, which include Night Heron, Grey Heron, Purple Heron, White Egret, Painted Anipe, Mallard, Gadwalls, Pintail, Shoveller, Tufted Duck, Widgeon, Osprey, Marsh Harrier, White-Breast Kingfisher, Pied Kingfisher, small Blue Kingfisher, Purple Gallinule, White-breast Water Hen, Moor-Hen, Cormorant, Common Pochard, Pied Harrier, Crow Pheasant, Darter, Garganey, Ferruginous Duck, Spotted Eagle, Common/Marbled Teal, Coot and many more. Drigh lake was declared as a wildlife sanctuary also, back in 1972 and afterwards a Ramsar site. 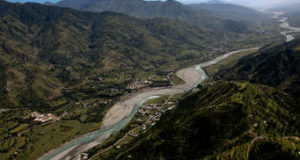 It is reachable through road and accommodation facilities are also available for the tourists. Hadero is a brackish water lake in Thatta District of Sindh. It lies about 85 kilometres in the East of Karachi and the total surface area of the lake is about 1,321 acres. It is the home of fish, Waterfowls, Swans, Storks, Cranes and feeding flocks of Pelicans etc. Furthermore many local and migratory birds take refuge over there lake. Hadero was declared a wildlife Sanctuary as well as a Ramsar site, by the Government of Sindh. The main objective is of designation is to conserve and to protect the natural environment with its inhabitants around the lake. 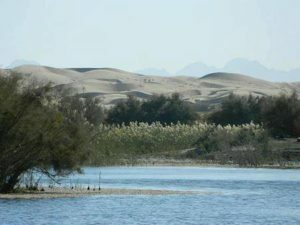 Hadero is a shallow lake and connects at the brink of the desert. It is accessible through road. And here comes the world famous Haleji lake, Thatta in Sindh province of Pakistan. It is about 70 kilometres away from Karachi and among the largest bird sanctuaries of Asia. Initially Haleji was a small lake, but during the World War II, the requirement of water increased because of American and British troops stationed in Karachi. Since the water supply was the responsibility of Government of Sindh; hence it decided to increase the capacity of the lake. Consequently the lake was connected to a canal of the river Sindh. The work was completed in record time of just 24 months. Haleji lake is a brackish-water lake. It was originally formed by the seasonal rain-water which was flowing into the depression and resultsntly gathers in the shape of a lake. Afterwards it was connected to a fresh water canal which makes the Haleji lake a major source of water supply for the Karachi city. It is not only a big water reservoir but also the hosting place for the migratory birds from Siberia from November to February. It becomes a paradise for bird lovers in the winter months. Hamal lake is a fresh water lake, in Qambar, Shahdadkot District of Sindh. It is 58 kilometres (36 miles) away from Larkana city and 40 kilometres (25 miles) from Qambar town. The length of the lake is 25 kilometres (15.5 miles), its width is 10 kilometres (6 miles) and surface area is 2,965 acres. The water source of lake is the streams which are flowing from the Kirthar Mountain Range. Hamal lake is the abode of local and migratory birds, from Siberia. These include; Ducks, Geese, Coots, Shore-birds, Cormorants, Flamingos, Herons, Ibises, Gulls, Terns, Egrets. The lake is a home of fresh water fish as well. It was once a very beautiful spot but now the environment and wildlife of the lake is almost gets poisonous by the sewerage discharge and the saline water of the Hardin drainage. 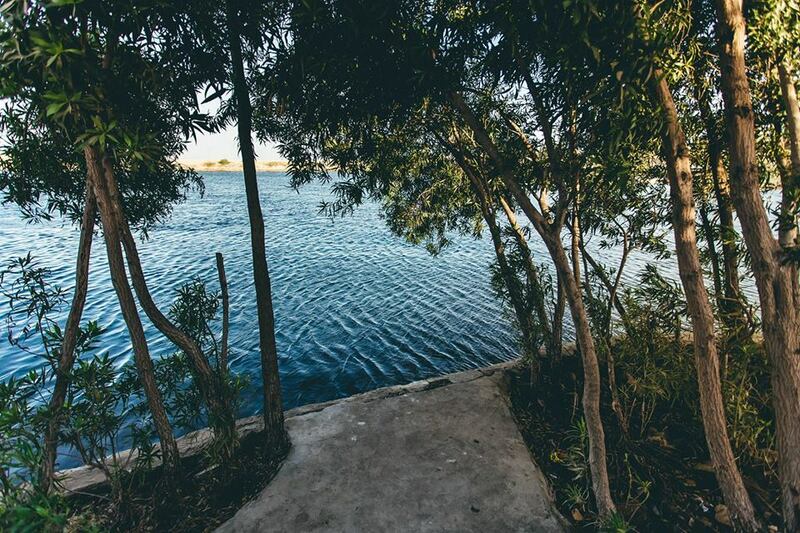 Keenjhar lake or Kalri lake‎ is in Thatta District of Sindh, Pakistan. It is 122 kilometres (75.8 miles) away from Karachi and merely 18 kilometres (12 miles) from the Thatta city. It is the second largest fresh water lake of Pakistan and a major source of drinking water for Thatta District and Karachi as well. Keenjhar lake has been declared as a Ramsar site and a wildlife sanctuary as well. This step was taken for the protection of the inhabitant animals and winter migratory birds from Siberia. The birds include Ducks, Geese, Flamingos, Cormorants, Waders, Herons, Egrets, Ibises, Terns, Coots, and Gulls etc. It is also a breeding area of the black-crowned Night Heron, the Cotton Pygmy Goose, Purple Swamp Hen and Pheasant-Tailed Jacana. 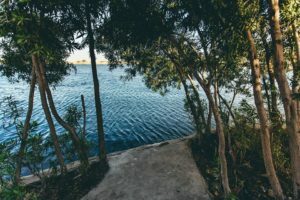 Keenjhar lake is a popular tourist Resort of Thatta and tourist throng here in groups to enjoy a day-long picnic, swimming, fishing, boating and a lot of other activities. The Sindhi folklore of Noori Jam-Tamachi happened somewhere near the lake. There is a Shrine in the middle of the lake. It is suppose to be the grave of Noori where hundreds of devotees come to pay homage to her, while visiting to the lake. Manchar lake is the largest freshwater lake in Pakistan. It is in the West of Indus river in Jamshoro District of Sindh. The water source of the lake is a number of small streams, which are flowing down the Kirthar Mountain Range and fall into the river Indus. The lake was once a big host to the migratory birds from Siberia. But their number has reduced manifolds due to food scarcity in and around lake area rather it feeds the only saline water reeds now. The lake direly needs protection and reservation from complete destruction. It is the responsibilty of concerned authorities and the Government of Sindh to take steps for the restoration of its glory. Chotiari is an artificial lake is 35 kilometres (21.7 miles) away from the Sanghar town of the Sanghar District in the province of Sindh. 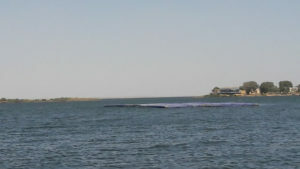 The Dam was constructed in December 2002. There were a few small natural lakes before the construction of the Dam and their water source was tributaries of the Nara Canal, Sindh. It is a wetland and a home of the birds, reptiles and small mammals etc. The environment and wildlife of the area is badly affected due to saline water of Drainage. Pakistan comes first so we begin our travelling from here and let’s try to explore the unexplored; revisit the visited ones and experience the whole new sensational entourage. You can find many types of lakes in Pakistan from glacial lakes to alpine glacial lakes, from natural lakes to artificial lakes, from Dams to Wetlands. I will try to cover almost all the lakes of Pakistan. These regions include Sindh, Balochistan, Punjab, Khyber Pakhtunkhwa, Gilgit-Baltistan and Azad Kashmir. In the coming days more blogs will catch your eye so stay glued to the FFK Blog for new projects. Good source of information on Lakes in Pakistan, PTDC and STDC must work on exploring and exposing this hidden tourist potential of Pakistan and market the beauty of lakes of Pakistan. Right here is the perfect website for anybody who would like to find out about this topic. You know so much its almost hard to argue with you (not that I personally would want to…HaHa). You definitely put a new spin on a subject that’s been discussed for a long time. Wonderful stuff, just wonderful! whoah this blog is wonderful i love reading your articles. Keep up the great work! You know, many individuals are searching around for this info, you can help them greatly.